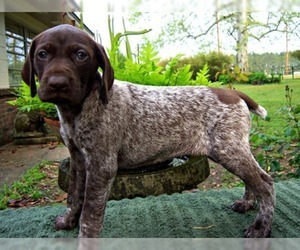 We have a sweet and handsome AKC German Shorthaired Pointer pup ready for his new home. His puppy name is Colt and he comes with vaccines, dewormings, health record, and AKC papers. Colt is $400. 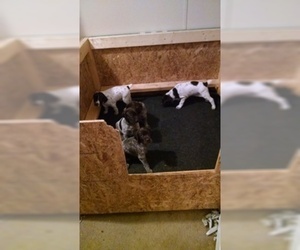 These dogs do require a fenced in yard and daily exercise. Parents are both excellent hunters and family pets. 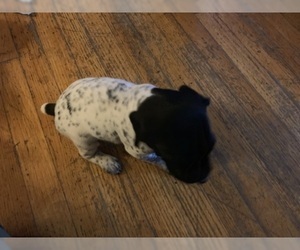 Colt is well started on his potty and house training skills, and is eager to please his people. You are welcome to come meet Colt and his and parents anytime. 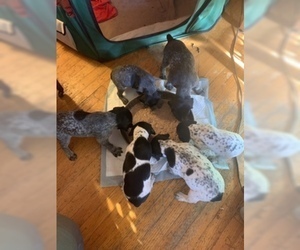 Overview: The German Shorthaired Pointer is a loyal family watch dog and companion. This dog enjoys sporting activities and has a very handsome and dignified appearance. Coat: The hair is short, thick and feels tough to the hand. 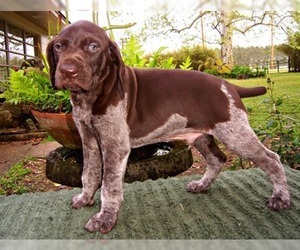 Character: German Shorthaired Pointers are intelligent, eager to learn, loyal and brave. Temperament: This breed gets along well with children, other dogs, and most household pets. They can also be extremely good watch dogs. 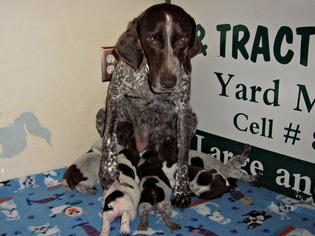 Care: The German Shorthaired Pointer requires occasional brushing and the ears should be kept clean. 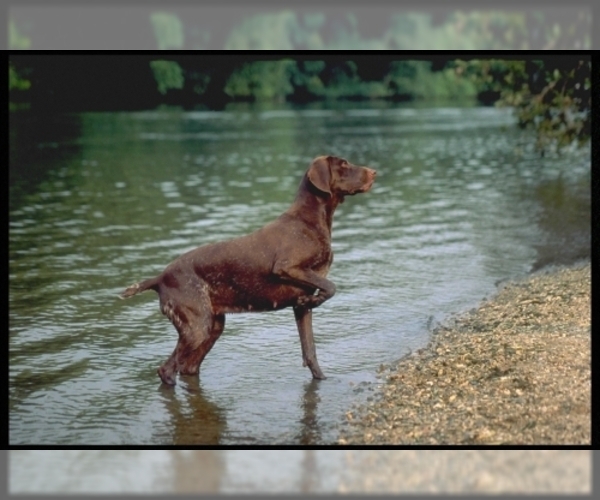 Training: This breed requires a consistent approach, but learns quite easily. 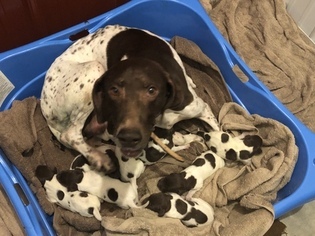 Activity: The German Shorthaired Pointer needs long walks and lots of outdoor activities. Health Issue: This breed is prone to epilepsy, hermaphrodism, and lymphedema. 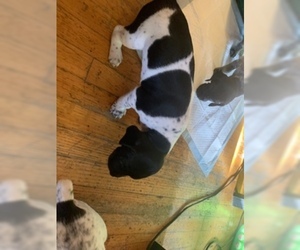 White with black patches. This puppy will be around 70-80 pounds, solid, will have high drive and should be very versatile for waterfowl and upland game. 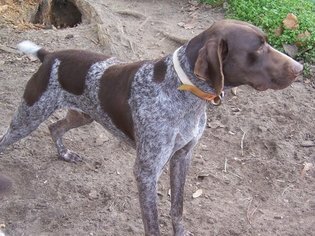 I breed for hunting and service dogs only. No pets here. Must have a hunting license or active military or veteran. No exceptions.